With the recently held 61st canonization of the blessed Virgin Mary, a lot of devotees once again expressed their devotion to the Blessed Mother. 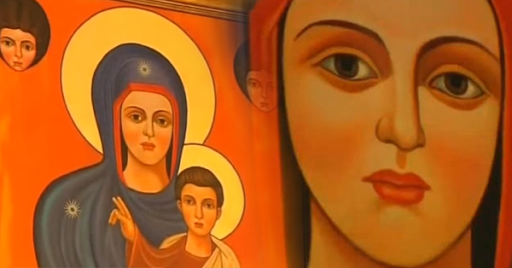 One post became viral recently involving a painting image of Mother Mary that was said to be moving her lips while the parishioners were having a prayer session at the Saint Charbel’s Church, located in the country of Sydney Australia. People who were there claimed to witnessed it and immediately labeled it as a miracle of the painting. In order to record this phenomenon, they immediately took videos of it and uploaded it online. Many other devotees gave their comments and ideas about it making it as a trending post online on various social media sites. Parishioners further added that it was their very first time to witness such happening in that painting ever since and that they are really happy and ecstatic that the Virgin Mary chose their church to be a special place where she will show her miraculous image.